Simon & Schuster's Guide to Gems and Precious Stones provides both the connoisseur and the casual collector with a compact, easy-to-use volume describing more than 100 rare varieties of minerals whose beauty and mystery have possessed our imaginations from time immemorial. More than 450 brilliant photographs accompany profiles of each gem, covering such aspects as appearance, physical properties - density, hardness, refraction - occurrence, and how to judge quality and value. Additional sections describe the process of cutting gemstones and the techniques professional gemologists use to evaluate a stone's weight and optical properties. 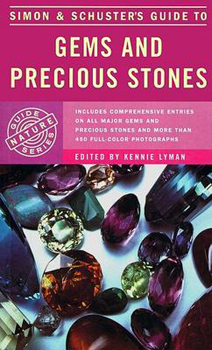 Detailed and comprehensive, this book is essential for anyone interested in the study of gems and precious stones.